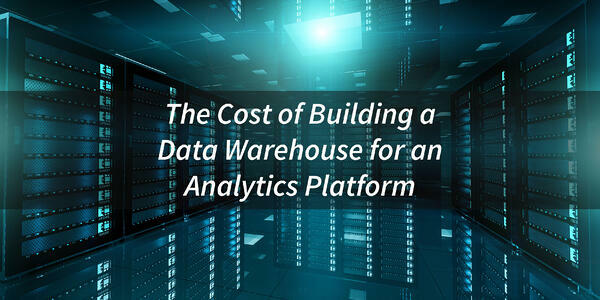 The costs associated with building a data warehouse don’t stop after the three years and one million dollars invested (give or take). Unfortunately, that’s just the price tag for a data warehouse that sits around and does nothing. To get any sort of utility from your data warehouse or data lake, you need a team of experts to maintain and interpret the data. Per data warehouse, we usually see a need for an average of two or three full-time employees the provide ongoing support. Without a strong team of data scientists, the information is little more than an expensive paperweight or an exercise in useless extravagance. One of the perks to building a data warehouse is that you can share that data with other financial institutions. Sharing data to facilitate collaborative analytics is one of the best resources available to credit unions on the market. Data pooling is a convenient way of leveraging your neighbor’s data to augment your strategy. However, every credit union has its own vernacular and ontology, so not all definitions mesh with other credit unions. The power of credit union collaboration is limited unless you take time and make it a priority to learn to share. The best solution depends on who’s asking. For massive credit unions with near-limitless resources, building a data warehouse on your own may make the most sense. For smaller credit unions or those who don’t have a few years to sink into development, there are services that offer all the benefits of data lakes, data warehousing, and data pooling at a fraction of what it would cost to build in-house. These services also have robust support communities that make troubleshooting a breeze.